20 typical metallic-looking milk churns (cans) with detailed handles and lids. Includes 8 milk cases with empty (transparent), and full (white) bottles. 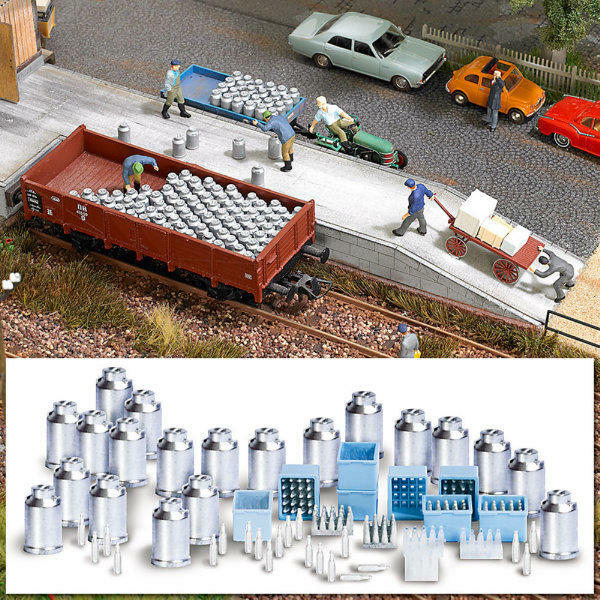 An ideal addition to the »Milk Depot part number Busch 1510« or to the farmhouses, and also as loaded goods for trucks.